We interviewed Dan Stierman, Market Analyst at Kutta Technologies, Inc., a high-tech research & development, manufacturer and supplier of command-control-communications software applications, interconnects, components and subsystems for Department of Defense, Department of Homeland Security and National Institute of Occupational Safety and Health programs. CHESTER: What is the name of your company and what was the inspiration behind choosing this name? Dan: Our company is called Kutta Technologies, Inc. and was named after Dr. Martin Wilhelm Kutta, who was a German mathematician who helped develop, along with Russian Scientist Dr. Nicholas Joukowski, the mathematical equation to predict lift on a cylindrical surface in the early 20th century. The equation was later applied to the prediction of lift on an airfoil. For the Kutta-Joukowski equation to predict lift, a phenomenon known as the Kutta-condition is the necessary and sufficient physical condition at the trailing edge of an airfoil to generate lift. Hence, we chose the name to personify the fact that Kutta Technologies can provide the necessary and sufficient know-how to get technology off the ground. CHESTER: Who is/are the founder(s)? Douglas Limbaugh (left), CEO, and Matthew Savoca (right), President. © 2013 Kutta Technologies, Inc.
CHESTER: Tell us the story behind launching the company. Dan: Kutta Technologies has changed a great deal from its inception in 2001. Kutta began as a software consulting company with two employees, the founders Douglas Limbaugh and Matthew Savoca, working in the upstairs loft of Doug’s house. The first pivotal moment in the company’s history came when “real” office space was leased and five employees were hired in support of a new contract. This was the moment Kutta became more than two guys working in a loft. The second pivotal moment came when Kutta, with the help of an Arizona FAST grant, won its first Small Business Innovative Research (SBIR) grant. This grant enabled Kutta to venture into the product development space. The third pivotal moment came in 2006 when Kutta sold its service business to focus strictly on Department of Defense work and product development. Since that strategic shift in Kutta’s business, the company has grown rapidly in the Unmanned Aerial System (UAS) and First Responder markets. The UAS is inserted in a Department of Defense Program of Record. 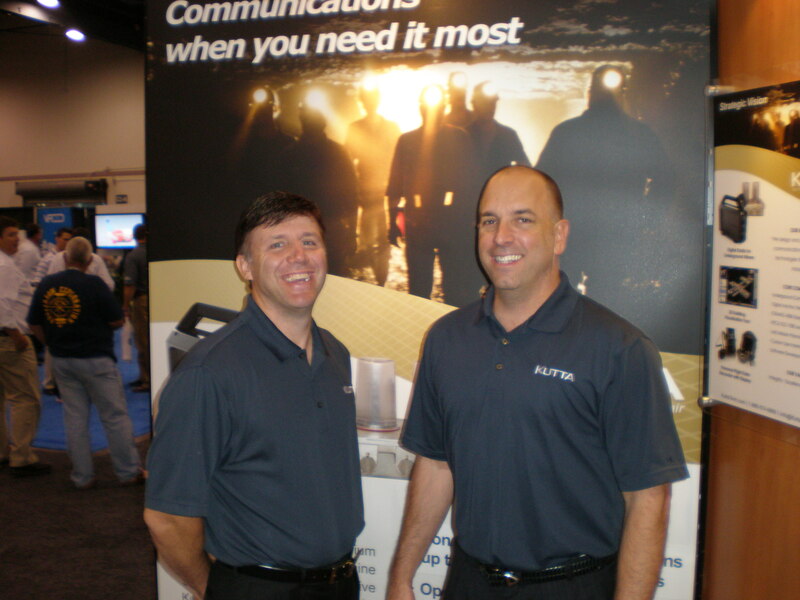 Kutta’s first responder radio technology provided communications to coal miners and first responders in subway tunnels and high-rise buildings. 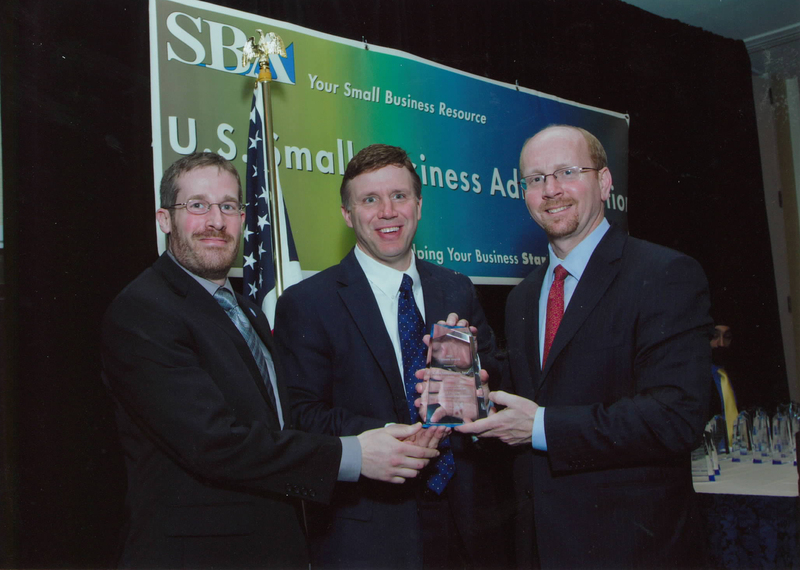 For their pioneering work in the UAS industry, Kutta has won the most prestigious U.S. Small Business Association Technical Achievement Award – The Tibbett’s Award. CHESTER: Tell us about some of the important milestones your company has experienced. Dan: Kutta Technologies, Inc. was recently selected as one of the winners of the Tibbetts Awards 2011, in recognition of our unique contributions as a model of excellence for the Small Business Innovation Research (SBIR) Program and in achieving the mission and goals of the SBIR and STTR programs. Individuals and companies selected for these national awards are recognized as having provided outstanding SBIR leadership in each state, region or the nation. David Barnhard (left), Director of Business Development, and Douglas Limbaugh (middle), CEO, accepting the Tibbetts Award. © 2013 Kutta Technologies, Inc.
To date, Kutta has been awarded 20 SBIRs and STTRs. Kutta has also been the recipient of multiple “Arizona Fast Grants” and was nominated for the “Innovator of the Year Award” for a small business by the Arizona Technology Council in 2008. CHESTER: Where is your main office? Are there other locations? Dan: Our main office is located at 2075 W Pinnacle Peak Rd – Suite 102, Phoenix, AZ 85027. Kutta also has a second satellite office in Atlanta, GA.
CHESTER: How many team members / employees are there? Dan: Our revenue for the most recent year was $6.0M, and the projected revenue is $10.0M+. Dan: Kutta Technologies is a high-tech research & development, manufacturer and supplier of command-control-communications software applications, interconnects, components and subsystems for Department of Defense, Department of Homeland Security and National Institute of Occupational Safety and Health programs. Kutta designs and develops innovative communication and visualization technologies that revolutionize industries. We employ highly-experienced mathematicians, physicists, and electrical and software engineers, and have created a culture and environment for delivering high-impact results. We solve problems, provide competitive costs and deliver real-time solutions. Our technical and innovative acumen encompasses Unmanned Aerial Systems (UAS), Radio Communications and Visualization Tools. With passion for innovative thought, we prefer innovative action. With an eye on performance, we prefer high-impact results. With commitment for customer satisfaction, we desire long-term relationships. 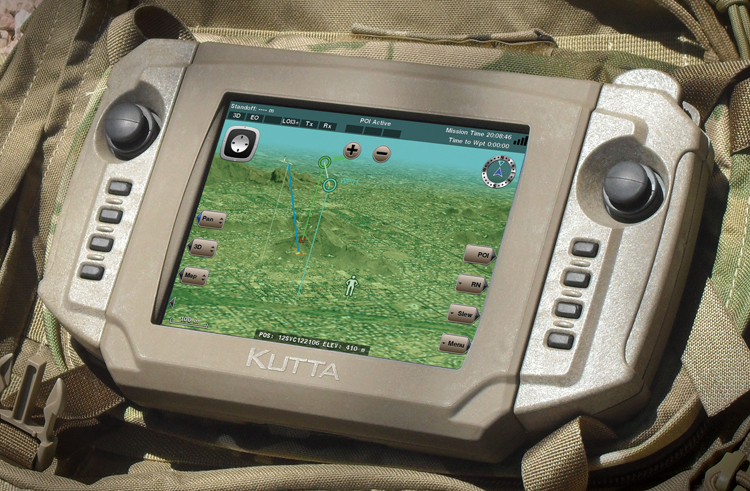 One of Kutta Technologies’ products: the UGCS-400 – Handheld Controller. © 2013 Kutta Technologies, Inc.
CHESTER: Tell us about something exciting or innovative that your company is doing. Dan: Kutta is currently working on developing radio technology for the FDNY to enhance communication abilities, and was awarded $250,000 from the Arizona Commerce Authority (ACA) as part of the AZ Innovation Challenge competition to help fund this effort. Dan: Kutta’s culture of creativity, collaboration, and relentless innovation is best exemplified by a recent staff meeting focused on developing ideas for new products. Attendees at this meeting included all levels of engineers and managers across the entire company. In most companies, employees are oftentimes hesitant to express extremely creative or innovative ideas because of their concern in being ridiculed or that they would be deemed too risky. Kutta’s culture is centered on creating confident employees that know they are supported by both their colleagues and their management. Everybody came prepared and excited to present their own ideas and have them developed and enhanced by the rest of the company. As a direct result of our positive company culture, Kutta has developed an extensive list of innovative concepts and products to help continue to grow our business and enhance our nation’s security. Kutta retains and attracts committed employees by providing excellent benefits that include a generous 401k profit sharing program and incentive bonus program. The culture Kutta creates by rewarding its employees for performing at the highest levels of excellence is the driving force behind our incredible growth and profitability. We share our success with donations for Arizona Special Olympics, Guide Dogs of the Desert International, Children’s Wish Foundation, Athletes in Training (Arizona Schools), Phoenix Military Veteran’s Commission Foundation and the Enlisted Association of the National Guard. 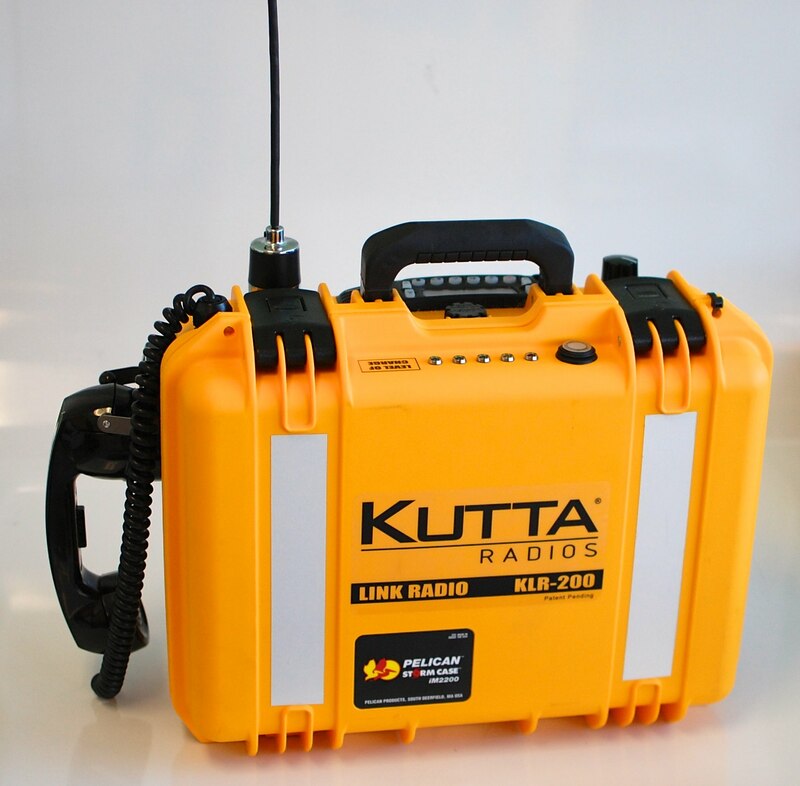 One of Kutta Technologies’ products: the Kutta Link Radio- KLR-200. Dan: Kutta plans to continue to expand its role as a leading innovator in the unmanned vehicle industry by inserting its technology into multiple U.S. Army Programs of Records (PoR), and developing enhanced Manned Unmanned Teaming (MUM-T) technologies for next generation aircraft. Additionally, Kutta plans to expand its sales and marketing effort to first responders via the FDNY.